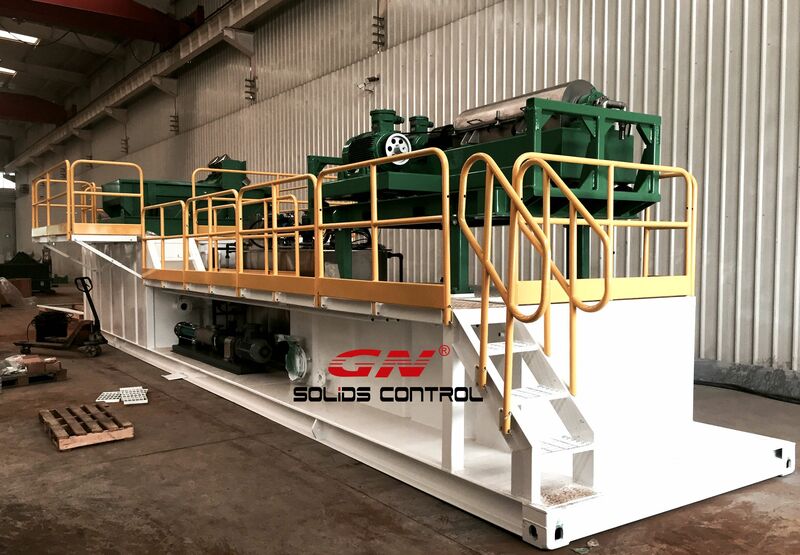 GN Solids Control does make customized waste water treatment system to treat the spent mud and drilling waste cuttings from oil rigs, workover rigs. GN Solids Control can also offer waste water treatment system treat the waste water from different field, like from the dredge slurry separation, from construction field, or it can be used to treat and recycling the human waste. For clients who can to get a suitable and proper waste water treatment solution, clients need to offer as more information as they can with regards to their job site situation. Below is some of the major information clients need to offer before order, but it is not limited to below questions. 1) Where does the waste water or the water based mud cuttings come from? 2) What is the capacity you need (how many cubic meters per hour)? 3) What is the target you want to achieve after GN waste water treatment system? The target on the final output solids and liquid. GN Solids Control High G shaker separator and dewater centrifuge system is a popular waste water treatment system. It is used for human waste water treatment. It can also be used to treat waste mud or othe spent mud after drilling surface section of the well. The spent mud will be collected in the cutting pit or tanks, and then later treated with GN propose equipment. Here the waste mud only means water base mud, for other oil mud, the solution is different. For a better separation performance, the single high G shaker separation system is recommended to treat spent mud or waste water less than 50 m3/per. The less the feeding capacity, the better the final separation performance. The final water from GN high G shaker & dewatering centrifuge system can be used inside in site for non-drinking purposes, such as washing of tanks etc., or used in mud mixing system as base water.